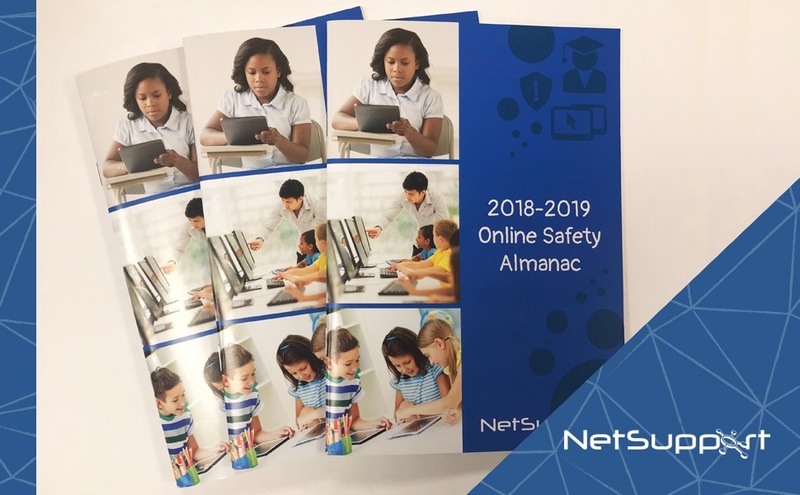 Introducing the 2018 – 2019 Online Safety Almanac! Written by Henry Platten, Founder of eCadets and GoBubble, the NetSupport 2018-2019 Online Safety Almanac is designed to cut through all the noise of the online safety world for you; identifying the key trends and main developments – as well as providing practical case studies to celebrate the best practice in place in UK schools. Find out the latest facts and figures on topics including Filtering and Monitoring, Children and Social Media, and Bullying. In addition, you can find case studies from Karl Denton, Network Manager at St Bede Academy; Ian Rockey, Headteacher at Westwood with Iford Primary School; and Claire Lotriet, Assistant Headteacher at Henwick Primary School, as well as a Governance checklist to help review your existing safeguarding, a list of trusted resources and a calendar of notable dates for the year ahead. If you’re attending Bett 2019, you can pick up a free copy on stands D120 and D130 or click here to download the PDF version.